In its ninth year, the 30A Songwriters Festival has not only turned the coastal towns along Florida’s panhandle into a January destination for music fans, it’s become a sought-after gig for both up-and-coming and well-established songsmiths. 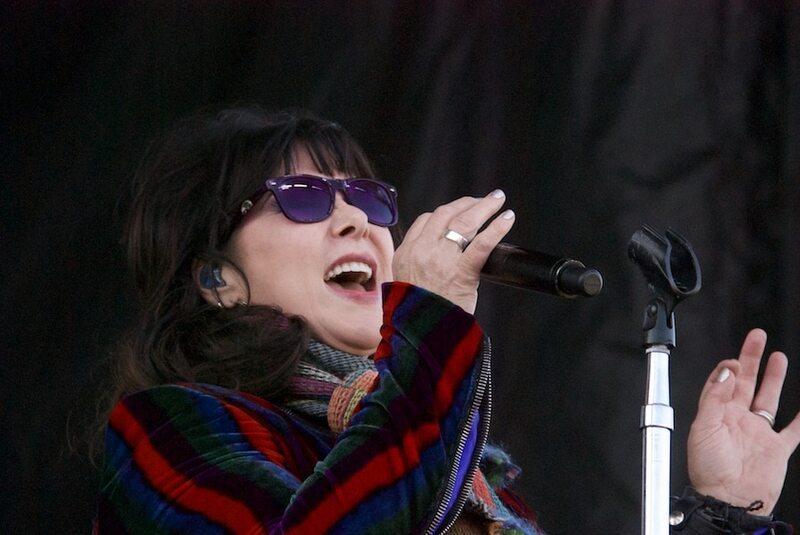 This year’s festival, which took place Jan. 12-15, featured 185 artists spanning a variety of genres, from veterans Emmylou Harris, Heart’s Ann Wilson and Lee Ann Womack to young Austinite Jaimee Harris, actor/singer Rita Wilson (Tom Hanks’ wife) and pop-rock-folkie Tommy Womack — who didn’t even play (officially) with his Daddy bandmate, Will Kimbrough. 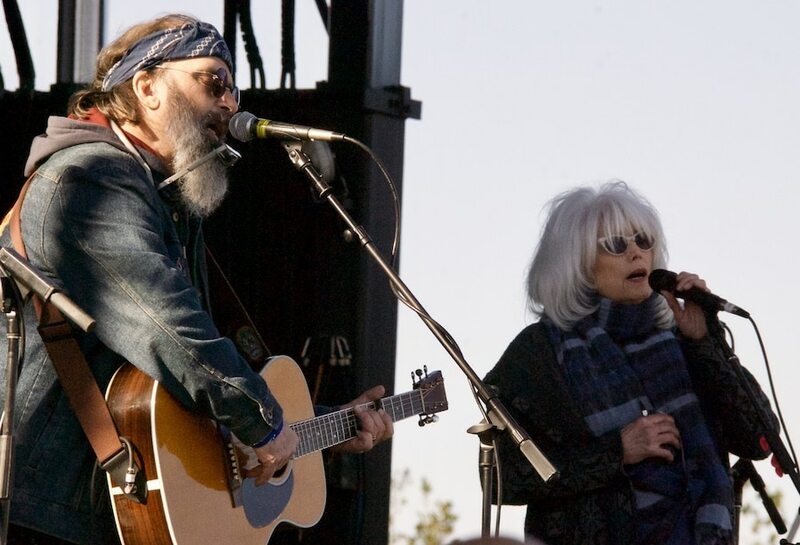 Kimbrough did, however, perform with Emmylou Harris as a member of her Red Dirt Boys, and in at least three song pulls. He also got hang time with some of his Willie Sugarcapps compadres, who also performed their own gigs. If that sounds slightly confusing, consider it a happy side effect of attending a festival at which opportunities abound to catch favorites or discover new ones. Except for the headliners who play the 5,000-capacity Grand Boulevard stage at North Park in Miramar Beach, everyone booked performs at least twice — usually more. And even though the weather was downright frigid this year — so cold, Harris requested pocket handwarmers for herself and her frozen-fingered band, all of whom (even the drummer!) wore heavy scarves tucked around their necks — audiences were undeterred. Most were prepared for the cold; one woman at Saturday ’s Grand Boulevard show looked downright toasty in her wearable sleeping bag. The chill certainly didn’t put a damper on alcohol consumption; bars at every one of the 26 venues appeared to do brisk business. In fact, that was the idea for this festival in the first place: By attracting some of the nation’s top singer-songwriters, the Cultural Arts Alliance of Walton County not only built itself its major annual fundraiser, but jump-started businesses during a season that used to be as slow as the area’s carefully protected sea turtle population. Festivals like this one provide opportunities to catch favorite artists in intimate venues, and to see rare, sometimes spontaneous collaborations. It also gives the artists a chance to mingle with friends they rarely see, and even to write new material together, because most stick around for the entire weekend, or longer. The reference to that particular political firestorm did not endear him to some in the upscale audience; a few reportedly exited. But at a songwriters’ festival filled with folksingers who pride themselves on living the Woody Guthrie/Bob Dylan ethos, left-leaning commentary should be expected. Korby Lenker sang about a friend who competes in drag-queen contests during his song swap with pal Liz Longley at the Bay restaurant. Later, he talked about growing up amid Idaho’s Indian reservations, and writing “Last Man Standing” about Chief Sitting Bull after reading Bury My Heart at Wounded Knee. He recorded parts of the song near Sitting Bull’s grave at Standing Rock, a month before the Dakota-Access Pipeline protests began. Lenker and Longley were followed by a four-way song swap featuring Gretchen Peters, Mary Gauthier, Kimbrough and Kim Richey, four of Nashville’s most distinguished singer-songwriters. As Gauthier introduced the title tune from Rifles & Rosary Beads, her album of songs written in workshops with PTSD-suffering war veterans releasing on January 26, several audience members shushed a pair of loud talkers. “Yeah, audience policing rocks!” Richey responded, to applause. Most of the time, it was unnecessary. Each of these artists, and their peers playing other venues, drew attentive listeners who wanted to hear their songs, whether heartbreaking or humorous. This particular foursome delivered generous samples of both; though Kimbrough offered some comic relief with the lighthearted “Cadillac Problems” and “Half Drunk,” both from Let’s Do This, his February 3 Daddy release with Womack, he caused some eye dabbing with “I Can Hear Your Voice in Everything,” a song about losing his father to dementia. Richey, whose new album arrives in March, and Peters, who’s got one coming in May, elegantly mixed despair and optimism. Each of these four friends (and Peters’ husband/keyboard accompanist Barry Walsh) has special talent, but as they harmonized together on one another’s tunes, they exemplified the easy, yet respectful vibe that permeates this festival. “We’re gonna play all night because it’s just too much fun,” Peters announced. The next night, she shared the Rosemary Beach Town Hall stage with Rita Wilson, aka Tom Hanks’ wife, and Chris Stills, aka Stephen’s son. Wilson, who released an album in 2016, has a strong, expressive voice and cute stage banter, which included informing Stills his songs were chick magnets and asking him whether he was single. When he said he was, Hanks, who produced My Big Fat Greek Wedding, responded, “We’ll talk later” — perhaps planning to hook him up with her stepdaughter, Elizabeth. But it was his gorgeous, bluesy rendering of the Bee-Gees’ “How Can You Mend a Broken Heart” that highlighted their two-hour set. He also did a fine “Eleanor Rigby” cover. While the Grand Avenue venue holds 5,000, indoor (or tent-enclosed outdoor) venues are small and intimate, meaning lines form quickly. Russell encourages festivalgoers not to wait in them. Go somewhere else and discover someone you haven’t heard, he tells them. It’s good advice. This year, they could have popped in on Grammy-nominated Oklahoman John Fullbright, or dynamic gospel-soul couple the War & Treaty, or equally dynamic gospel-soul voice Ruthie Foster, or close-harmony siblings the Secret Sisters, or Luther Dickinson, who also opened Sunday’s Grand Avenue show with his brother Cody and the North Mississippi Allstars, or Rhett Miller of Old 97’s fame, or Aaron Lee Tasjan or Dead Rock West or Tall Pines or Paul Thorn or James McMurtry or Lily Hiatt, John’s daughter. Or they might have followed Bonnie Bishop’s recommendation to catch songwriter Mike Reid, or caught Jaimee Harris, a favorite of the late Jimmy LaFave, and now of Gauthier and Richey as well. Though Baby Boomer faves Wilson and the British Invasion-era Zombies (“Time of the Season,” “Tell Her No”) dominated Sunday afternoon’s set, they were hardly the norm. But they reinforced the main axiom of songwriting: the best songs are timeless, and worth hearing even 50 years after they were written. Or in the case of Beethoven’s “Ode to Joy,” quoted by Zombies keyboardist Rod Argent during “Hold Your Head Up,” close to 200.